Essentially, a boat is seaworthy if it will not sink. If the vessel can be used for the purposes it was designed for as well as safely handle any condition the crew encounters while on the water, it is defined as “seaworthy.” However, the term can become a very complex legal issue and can depend on many factors. There are signs that can help determine a vessel’s dependability to help you and your crew stay safe. For boat renters, following a few common sense guidelines, doing a quick observation of the items on the boat, and asking questions of the owner will provide a good dose of peace of mind for yourself and your passengers while voyaging on the high seas, inland waters and rivers, or on a landlocked lake. 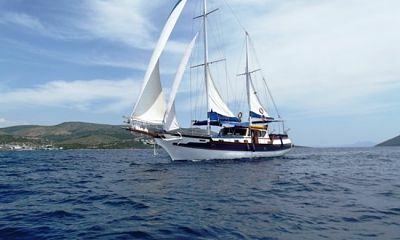 When considering a vessel to rent, one of the very first questions to pose to the owner, and one often used to easily determine if a ship is seaworthy, is, “Would you allow the craft to sail as-is?” If the owner is in doubt about the vessel’s ability to sail as-is or expresses a desire to remedy certain on-board issues before sailing, the craft is likely not seaworthy. Another consideration is the type of vessel you intend to rent or charter and what kind of boating experience you are planning. Navigating a river is obviously very different than sailing the open sea. Conditions that the vessel may encounter should be taken into account. A sailboat rigged for cruising the Caribbean may not be the right fit for icy Arctic waters, just as a riverboat may not be safe for use on the Great Lakes. Observation can also go a long way to help determine if a vessel is seaworthy, regardless of the level of your boating experience. The overall condition and general cleanliness of the boat, installed equipment, and on-board storage areas will signify how the owner cares for and operates the boat. In addition to your eyes, use your nose and sense of touch to detect fuel leaks, mold, dry rot, or other conditions that may not be visibly apparent. Checking for seaworthiness one day and getting underway the next does not always guarantee that the vessel is still seaworthy. Sometimes equipment that operated properly one day may not the next day. Scheduling your seaworthiness check immediately before or on the same day as your voyage can help reduce this type of risk. If problems do arise while on the water, remember that help is available from commercial marine towing firms, like SeaTow or BoatUS Tow. In emergency situations, the Coast Guard can provide assistance. VHF Channel 16 is an international distress frequency. Here are some areas with specific items to review while performing a seaworthiness check. Make sure that there are no serious scrapes on the hull. If the boat is in the water, verify that the vessel is not taking on water and that there are no leaks around the through-hull connections. Engine/connections. These should be secure to the transom, with smooth movement. Steering cables. Connections need to be secure with minimum play, and no cable fraying. Propeller. Look for signs of blade pitting and irregular surfaces. Electrical system and isolators. Keep an eye out for any frayed cables. Anchor. In addition to being well attached to the boat, there should be an adequate length of ground tackle. Ventilation. Check inboards for any debris in the ducts, and how well the air inflow and outflow work. In addition to the physical condition of a boat and its equipment, seaworthiness is sometimes applied to crew members. Crew members who are not fully trained for assigned on-board duties, do not hold Coast Guard-issued Merchant Mariner Documents or Master’s certificates, or who are physically unable to perform their duties are considered unseaworthy. If you are on a crewed charter, verify the credentials of the crew and inquire about their experience. While not exhaustive, these observations and reviews will help to determine whether a boat is or is not seaworthy. If all systems are a go, questions were satisfactorily answered, and you are confident that the boat is seaworthy, then climb aboard: you are on the way to a trouble-free and enjoyable voyage on the water!